In this tiny box is a post apocolyptic future. Society as we know it is pretty well ruined. Only one leader has the skill required to rebuild... it's YOU! You know, unless you lose. Then it wasn't you, it was probably somebody else. 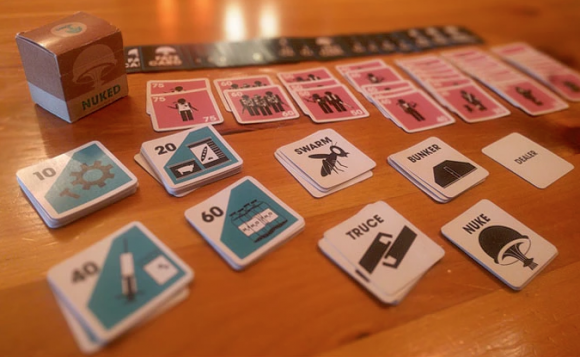 Nuked is a card game that pits your post apocalyptic settlement against other players as you try to collect enough settlers to win the game. In the process, you can play cards to ruin other settlements or try to protect your own. 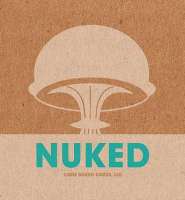 Add a Review for "Nuked"